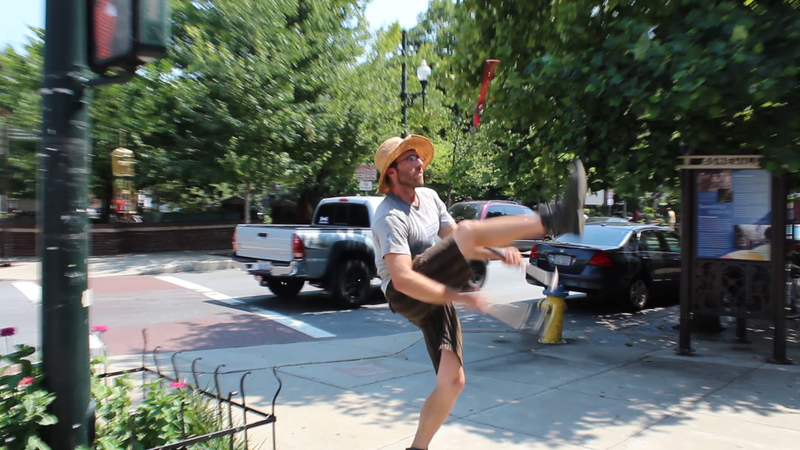 He’s not entirely sure how it happened, but Alex Berkow thinks that his gimmick of juggling hardware for the crowds in downtown Asheville might have happened because he lost his regular juggling equipment and had to start over with anything that had a long handle. Far from ruining his act, his new gimmick of tossing and deftly catching wrenches, plungers and hammers through the air also brought him a fair amount of tourist coin. Originally from San Francisco, Berkow grew up “isolated” on a 60-acre property in Madison County, NC, which turns out to be a great place to learn do-it-yourself hobbies like juggling.